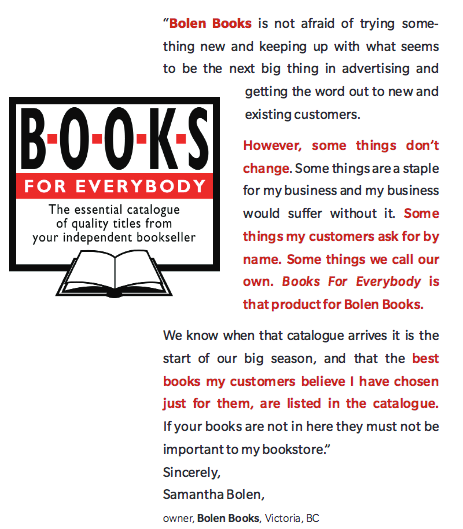 The latest Books for Everybody catalogue features some great quotes from a couple of local booksellers—Bolen Books and Hager Books. Books For Everybody showcases publishers’ books for the holiday season and supports the work of independent booksellers across the country. The 2016 submission deadline for the Gift Guides is upcoming on May 16. View the PDF for submission schedule and rates. The Inn at Laurel Point offers special rates for BC Book Fair attendees and exhibitors. When booking your room(s) tell them you're with "Western Books Reps Association."